A simple quarter turn quick release plug can add safety and flexibility to any water system. 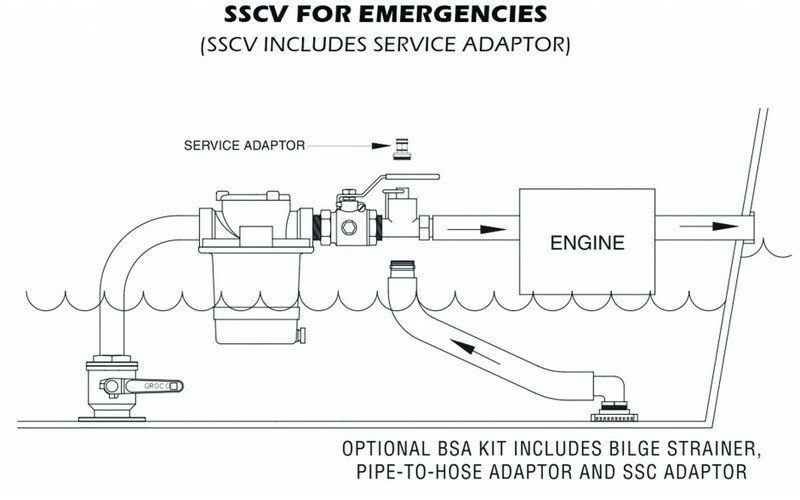 Add SSCV to allow instant emergency bilge pumping, or to simplify winterization and cooling system flushing. 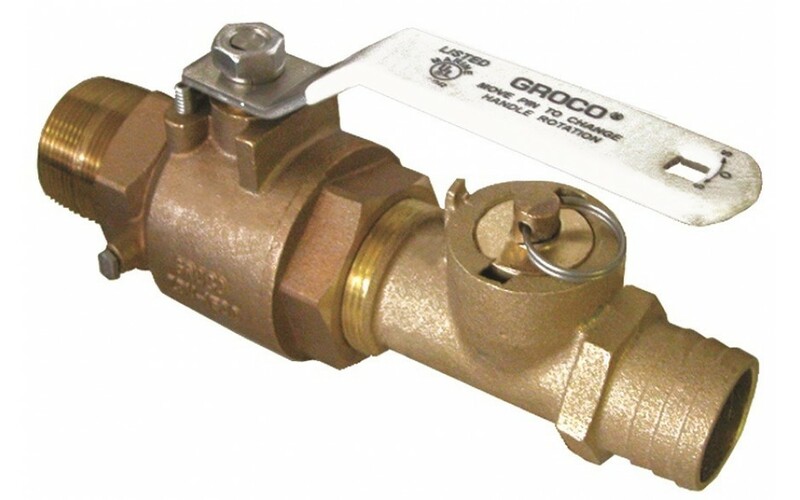 SSCV is the SSC combined with a Full Flow In-Line IBV Series ball valve, which isolates the plumbing before SSC and prevents back-flushing into the strainer or through the seacock. IN AN EMERGENCY. 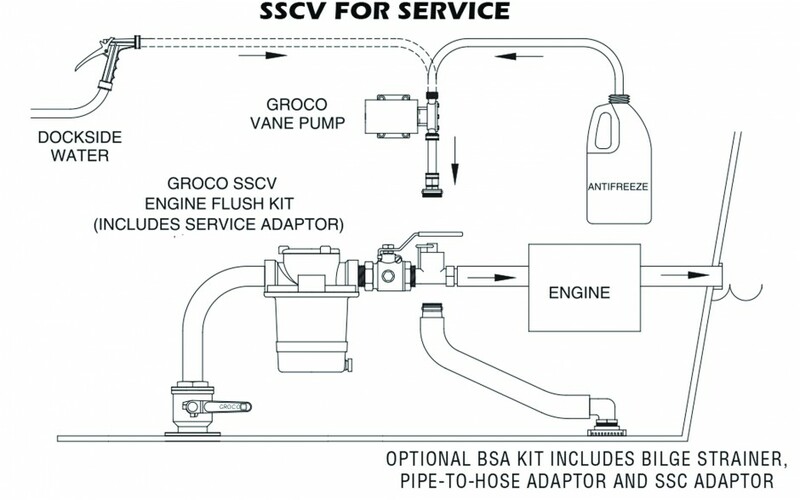 While the connected engine is running, close the seacock and remove the quick release plug. Excess bilge water will be pumped overboard by the engine raw water pump. Add GROCO BSA to pump out remote bilge locations. FOR WINTERIZATION. Close the seacock, remove the quick release plug and insert the service adaptor (included). Anti-freeze can be pumped into the cooling system. FOR SYSTEM FLUSHING. Close the seacock and insert the service adaptor. Dockside water can be used to flush the cooling system with the engine running at idle speed. ***Add a GROCO Bilge Strainer to pump out remote bilge locations.